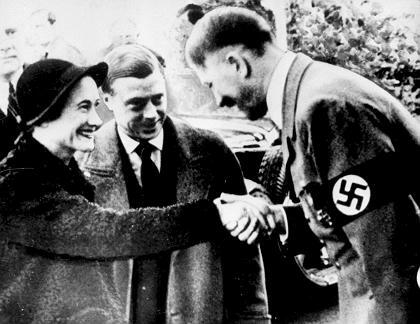 17 Carnations: The Duke & Duchess of Windsor and the Nazis. Less than two years before the Second World War began, the king of England abdicated from the throne. And the Nazis wanted to use him for their own ends. After the war, the Allies spent ten years recovering secret German files that revealed their plans. 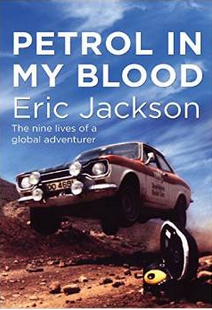 That sounds like the basis for an excellent novel but this book is non-fiction. In addition, American industrialists wanted to use the duke for their own purposes during the war. The book gives details about how he was in pawn between the two factions. But let’s rewind and look at the background. The duke, then Edward VIII refused to remain on the throne without, as he so famously said in his abdication broadcast, the support of the woman he loved. But that woman, Wallis Simpson was unsuitable in so many ways and the fact that she was American and currently married to her second husband weren’t the only reasons. Prior to the war she had been closely watched by the British secret services. They suspected both her and her then husband of being spies. They certainly socialised with people who were known to be passing information to Germany, such as the infamous Stephanie von Hohenlohe. It was Stephanie who arranged for Edward and Mrs Simpson to visit Germany in 1937, as pictured above. Scotland Yard and the Special Branch had the Simpsons under twenty four hour surveillance and this is how it was revealed that she was having an affair with a man called Guy Marcus Trundle in addition to Edward. Although it has never been proved (publicly), there was plenty of evidence too to show that she was also enjoying a relationship with the German Ambassador, Joachim von Ribbentrop – later to become Hitler’s foreign minister for the duration of the war. There has never been any doubt that the pair were admirers of Hitler. And it was also no secret that Edward was in favour of a negotiated peace settlement. Of course, Hitler’s demand for this settlement was that Britain should succumb to German rule and that Edward, in exchange for helping this to be achieved, would be returned to the throne of Great Britain. Edward, who was essentially a weak character in many ways, was hugely resentful of his family. It’s clear that when he abdicated he was thinking only about being with his mistress and not the ramifications his act would have on himself, Mrs Simpson, the royal family and quite possibly Europe. His concerns seemed to be trivial, with Britain and Germany being on the brink of war. He obsessed over the fact that, once they were married, Wallis was not entitled to be referred to as ‘your royal highness’. When he was appointed as the governor of the Bahamas during the war, his major concerns were shipping his wife’s bedlinen and other household goods to the island and insisting that his two male valets be taken from active service to assist him. His brother, now the king, and the government believed that sending the couple to the Bahamas for the duration would keep them out of trouble but they had reckoned without the pro-Nazi faction in the Bahamian islands. The duke and duchess weren’t happy at all in the Bahamas and Edward was still trying to create for himself a role as a statesman. The Nazis wanted him as a puppet king. Or maybe they should kidnap the couple, holding them to ransom until the British gave into their demands. At the other side of the Atlantic, the wealthy businessmen in the Bahamas and those just across the water in the United States also had plans for the duke. They had enjoyed lucrative business deals with Germany prior to the US joining the war and wanted the duke as their own pawn so that these export and commercial benefits could be maintained and restored. After the Allies’ victory, British and American officials became aware, almost by chance, that there was a huge and hidden depository of top secret German foreign office documents as well as correspondence between German ministers, Hitler and the Duke of Windsor himself. Some of these were discovered and retrieved by the British. Others were in American hands. The contents were explosive. They were examined at length by esteemed historians to ensure that they were genuine and without doubt,they were. But then the British had to decide what exactly to do with them. Should these documents be destroyed? And what use could the Americans make in the future of the documents that were in their possession? What effect could the Windsors’ indiscretions have if they were to become public? The book you see here explains in detail and is a riveting read.